Prototype: Class 01.5 steam express locomotive with a coal tender. GDR German State Railroad DR GDR Reko version as it currently looks as a museum locomotive for the Zollernbahn Railroad Enthusiasts EFZ, Rottweil, Germany. 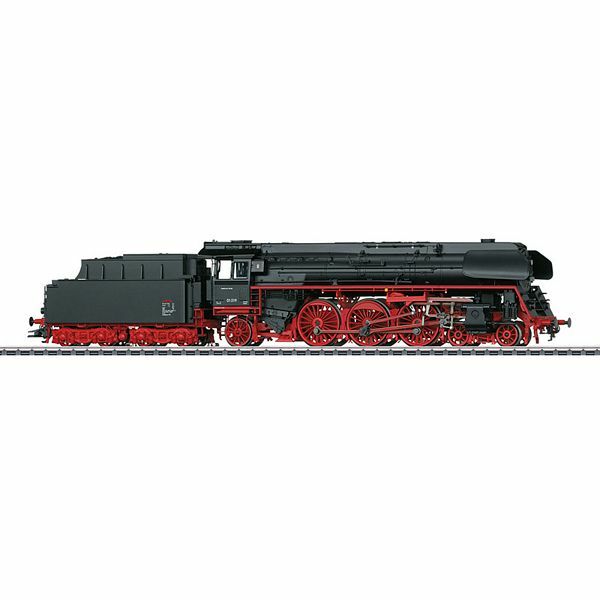 Includes spoked wheels, type 2A 2A T34 standard design coal tender, special design Witte smoke deflectors for the class 01.5, continuous dome streamlining, and inductive magnets on both sides. Road number 01 519. The locomotive looks as it currently does in 2016.